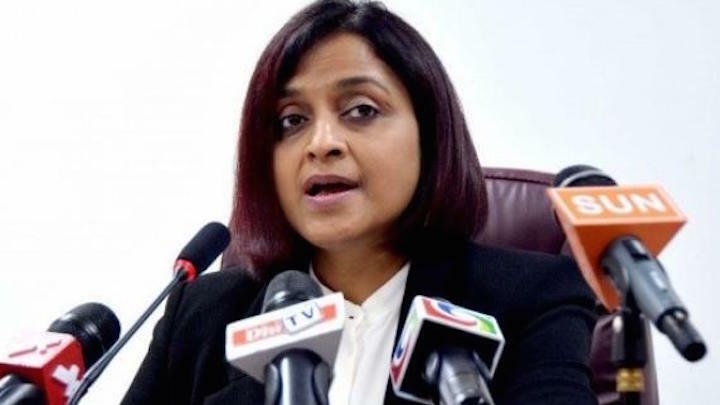 The Maldives “will seriously consider its membership at the Commonwealth” if it is placed on the agenda of the Commonwealth Ministerial Action Group (CMAG) for a second time in four years, foreign minister Dunya Maumoon has said. Some Commonwealth members are pushing for the CMAG to assess alleged violations of the Commonwealth’s principles by the Maldives. Diplomatic pressure has been mounting on the Maldives over the imprisonment of opposition politicians, including ex president Mohamed Nasheed. In a conversation on Wednesday with Kamalesh Sharma, the Secretary General of the Commonwealth, Dunya said there are no serious violations in the Maldives and criticized Sharma’s alleged failure to follow due process before considering action. “I said that the trust that had begun to build between the Maldives and the Commonwealth will be seriously undermined if the Maldives is placed on the CMAG agenda,” Dunya told the press today. The CMAG can recommend measures for collective action to restore democracy and constitutional rule. “Having to leave the Commonwealth for not abiding by its principles will only isolate the Maldives from the rest of the world. And it will not be very healthy for the Maldives, but detrimental,” MP Imthiyaz Fahmy said. Placing the Maldives on the CMAG’s agenda for a second time amounts to selective and unfair treatment and violates the Commonwealth’s own rules, she contended today. Nasheed was arrested in February and sentenced to 13 years in jail on terrorism charges in March over the arrest of a judge during his tenure. His imprisonment triggered a political crisis with daily protests and hundreds of arrests. The opposition leader’s imprisonment coincided with the imprisonment of ex-defence minister Mohamed Nazim on weapons smuggling charges. Three more key opposition leaders have since been charged with terrorism over a historic anti-government protest on May 1. 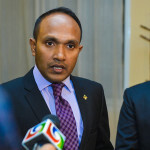 The Maldives Supreme Court meanwhile ruled a report submitted to the UN by the state human rights watchdog unlawful, and has barred it from communicating independently with foreign organizations. Signs of a thaw are emerging between the government and the opposition. Nasheed was transferred to house arrest in late June after the opposition backed a constitution amendment to allow President Abdulla Yameen to replace his deputy. Representatives of the government and the opposition sat for a preliminary meeting to prepare for talks last night. Dunya urged Sharma to take note of the positive changes in the Maldives in the last few weeks. She also accused Canada of undue influence in the Commonwealth as a donor country. The Foreign Minister Dhunya Moumoon is a rebuke women by the people of Maldives she is taunting the community. You think the UK will even flinch after this announcement? The Maldives is of little importance to them and the few negative effects will hit Maldivians, not the British. How can so many people be wrong to ask release of Nasheed? Why a few people with personal vendetta are so adamant to punish Nasheed. Is the arresting a notorious judge terrorism. Did Qayoom corporation want justice for Gazze, or was it revenge of notorious judiciary for their comrade Abdulla Gaazee and Qayoom brothers gave green signals to use their independency against Nasheed. With all these questions it will not be viewed as fair trial if a gangster was ruled in for his crime by such notorious judges backed by autocratic government chaired by rude arrogant man, so how on earth you can convince international community that a champion of democracy in Maldives was a terrorist. Is Duniya smoking weeds too much? Is the Foreign Minister acting the goat or serious? In the past, we have seen even an MP acting similarly! Certainly not the world and not the educated Maldives! Keep in mind that every word that this FM utters is forcefully targeted at protecting the filthy history of her family. A family that had embezzled billions of dollars of public funds during their 30 year in power. Additionally, they have had actively engaged in the military coup in 2012, and now wants to disengage themselves from that animal act. Does anyone take her seriously anymore? I don't know how,,,but the sooner you honest Maldivians have a complete clear-out of your government [gayoom family] the better..
Who the hell cares whether Maldives stays in the Commonwealth or not. You are too small, too boring and too unstable to make a difference. You should join the consortium of other unstable countries where you will fit right in, Somalia, Zimbabwe, Democratic Republic of Congo, South Sudan, north Korea, Afghanistan and the Islamic Republic of Pakistan.